Developers are usually more tight-lipped about their games than film studios are, but that doesn’t stop analysts giving their best bets as to how much a game cost. New York Times analysts, for their part, as guessing that Take-Two’s Bioshock Infinite cost a good chunk of change. $100 million to develop the game, they’re saying. That would make the game one of the most expensive titles ever produced. On top of that hefty bill for development, the analysts are further guessing that another $100 million was spend on marketing. Again, that’s on the high end of the spectrum when it comes to “most expensive games ever,” along such titles as Grand Theft Auto IV ($100 million), Gran Turismo 5 ($80 million) , and Shenmue ($70 million). Still, if the game sells, that’s all good, and Bioshock Infinite certainly seems on track to turn an enormous profit given all of the hype. Update: Ken Levine, creative director on Infinite, has taken to Twitter, saying “$200 million? Did someone send some checks to the wrong address?” Straight from the mouth of the man himself, it would seem that some analysts might not have all of their estimates straight. Of course, that certainly doesn’t mean that the game will be less than outstanding, and it’s still probably a good idea to give it a look come Tuesday. Will you be contributing to what will undoubtedly be a major hit for Irrational Games and Take-Two? 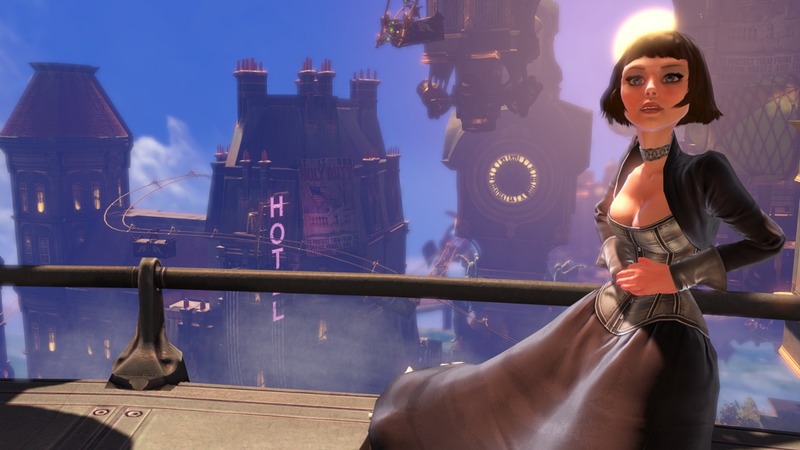 Tell us in the comments, or discuss Bioshock Infinite in our forums!